Performance of racing or hard working horses who present risk of epitaxis. 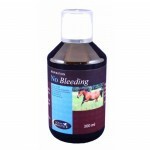 No bleeding is a complementary feedingstuff to maintain good capillary blood vessel condition. 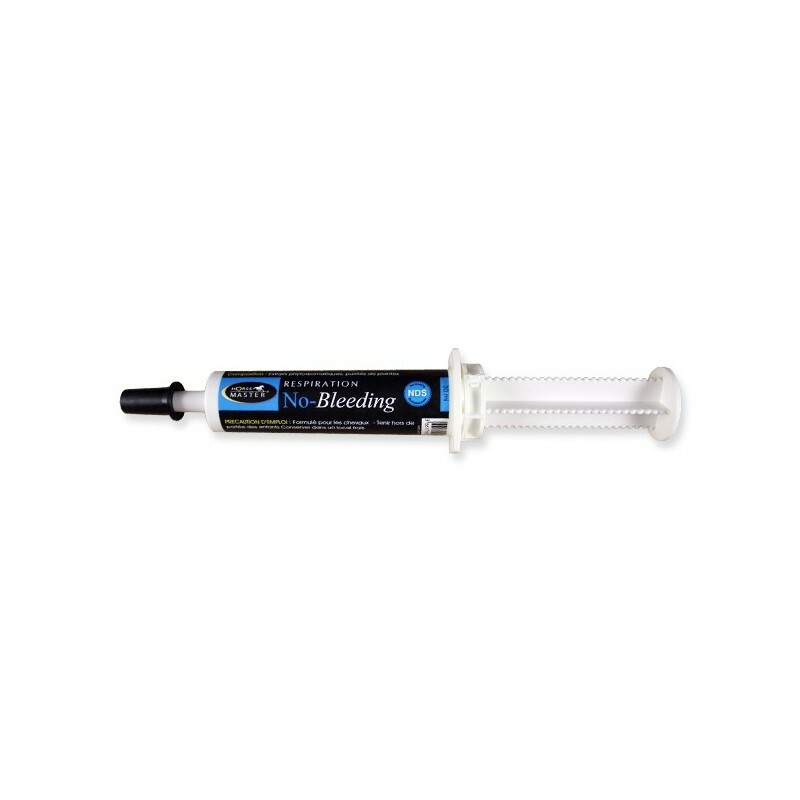 To be used with a nebuliser at the rate of 5cc morning and evening during 10 days. 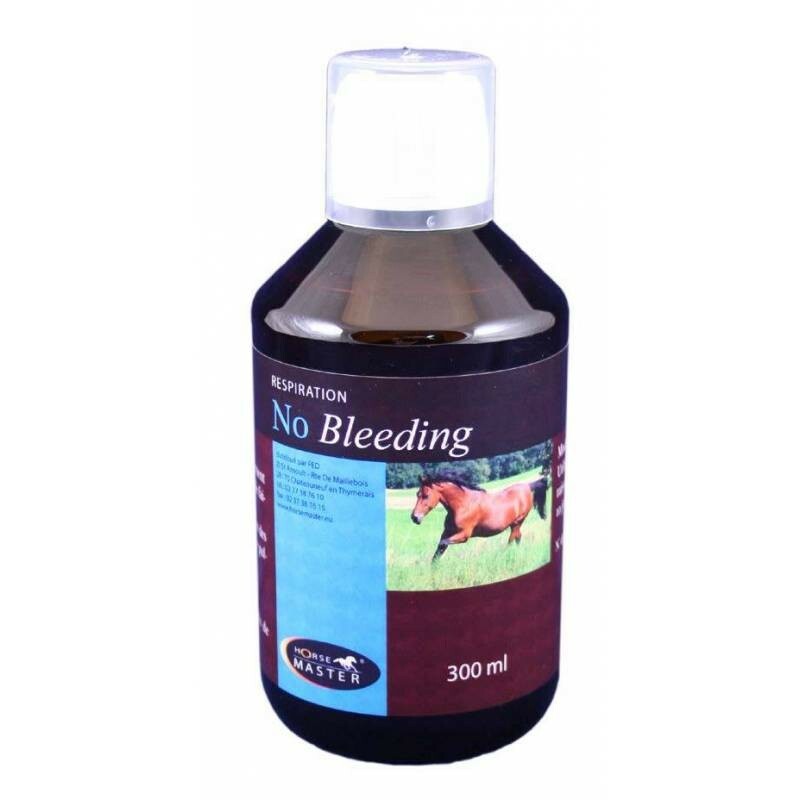 Directly on the mouth’s horse or give directly mixed with feed. - Maintenance : 15 g (1/2 syringe) per day for 5 days, stop 3 days then give for next 5 days. - Racing : 15 g (1/2 syringe) 24 hours before racing and 1/2 syringe morning the day of the event. Weight seringue de 30 ml ou flacon de 300 ml.